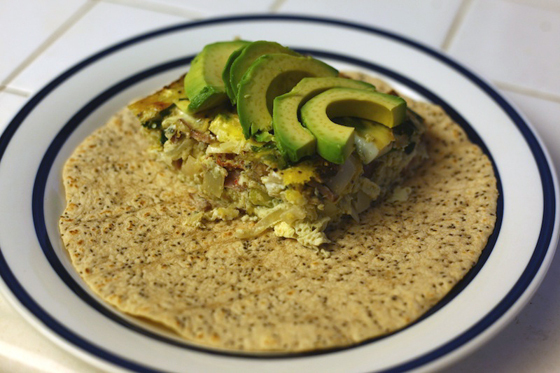 This makes 8 hearty servings, and each is about 150 calories. This recipe has a lot of ingredients, but keep in mind that it can absolutely be modified – turkey bacon for chicken sausage, zucchini for yellow squash, and if you can’t find heirloom tomatoes, romas work just fine as well! Tailor it to suit your own favorite veggies! Cut out, add to, and experiment with it. Chop, chop, chop the turkey bacon, yellow onion, shallot, garlic, heirloom tomato, mushrooms, artichoke hearts, zucchini and sun dried tomatoes. Dice them up into small bite size pieces and put them into a large bowl. With a large spoon, stir in the tablespoon of melted Earth Balance or butter, red pepper flakes, basil flakes, and salt/pepper. Mix it up so everything is evenly coated. Spray a 9 x 13 inch pan with non-stick organic cooking spray. Pour your mixture into the pan, evenly distributing it with your spoon. Smooth it out and put it in the heated oven for 15 minutes. While the base is cooking, wash and tear your fresh basil leaves and set them aside. Beat 8 eggs with 1.5 cups of egg whites vigorously in a large bowl. 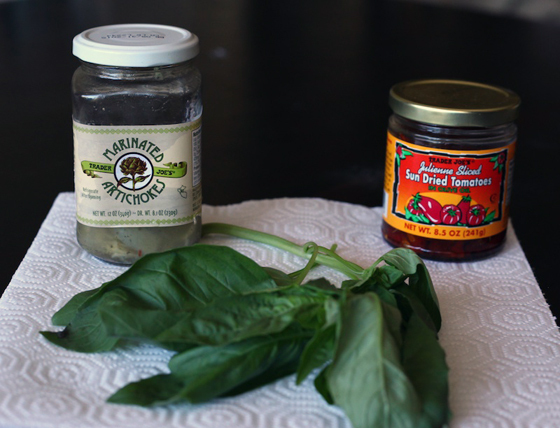 Add some pepper and basil flakes to this mixture for an added kick, if you like! Take the base you had in the oven out when your 15-minute buzzer rings. Lay your basil out on top of the base carefully. (Don’t burn yourself on a hot veggie!) Now pour out the egg mixture, evenly distributing it over your base. Put the pan back into the oven, still set at 375 degrees, and cook for 20-25 minutes. Keep an eye on it at 20 minutes, and if it needs more time, keep it in there, baby! When the eggs are firm, take out and let cool for 10 minutes. Pour a mimosa and set your table! 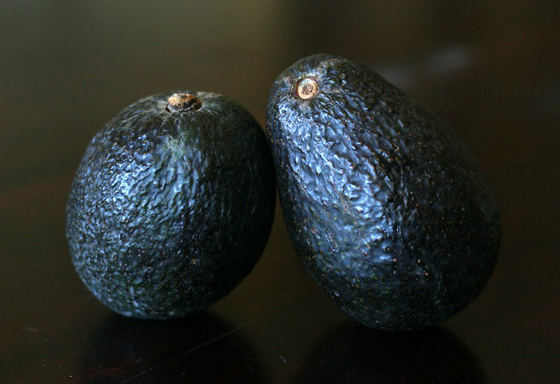 Chop up your two avocados. Cut your casserole into 8 pieces, and if you like, you can serve it alone or with the avocado for that wonderful “good” fat – you know, for your skin and stuff! I served this casserole to some of my guests with a chia tortilla if they wanted it, and that’s totally optional, but it does pair well with a healthy fiber-licious tortilla. Top with hot sauce too, if you can handle the heat! The highlights of this recipe, for me, are the sun-dried tomatoes, artichoke hearts, and sweet basil. 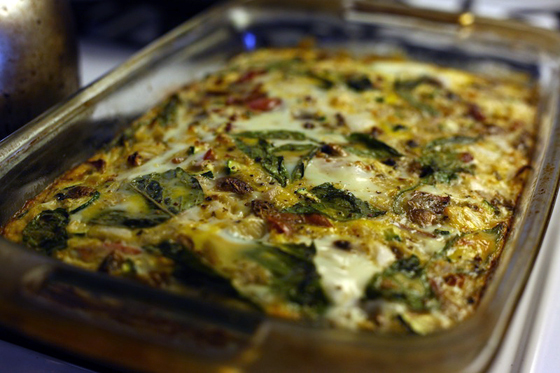 They add to the casserole’s richness without a whole boatload of calories. Adds flavor like you can’t imagine! If you like olives (black, kalamata) that would be a nice addition as well! Next Article Champagne & Self-Reflection: It’s Almost 2014!